A recent Al Jazeera opinion piece (republished on Huffington Post) spotlights the statistic that since 2008 antipsychotics have been the single top-selling therapeutic class of prescription drugs in the United States. Entitled "Mass psychosis in the US: How Big Pharma got Americans hooked on anti-psychotic drugs," the piece examines the U.S. drug industry and how big pharmaceutical companies essentially buy off doctors in various ways in exchange for endorsing or prescribing the latest and most lucrative drugs - essentially putting doctors in the pocket of the industry. Combined with the fact that drug companies advertise their drugs directly to unknowing and under-informed consumers, the U.S. government is allowing Big Pharma to overreach and manipulate the market without the regulations or controls necessary to limit their influence over the medical field and the citizenry of consumers in general. Because psychiatric diagnoses are very subjective, diagnosis by prescription is the modern trend in the field. In addition to expanding the diagnoses of serious mental illness, drug companies have encouraged doctors to prescribe atypical anti-psychotics for a variety of off-label uses, including use for Parkinson's patients despite warnings against the practice. Regardless of the millions of adults using unneeded and harmful prescription drugs, it is the prevalence of use amongst the very young that should be of gravest concern. Many parents are quick to conclude that their child's behavior problems are a result of an underlying mental or physical issue, rather than looking at the upbringing and influences of the child and the child's diet (maybe too much processed sugar and additive ridden foods). Last year, a ten-year-old boy, died after hanging himself with a belt from his bunk bed. Although initially reported to be a result of bullying, his father blamed the death on Ritalin and Prozac, two drugs that the boy had been prescribed by a psychiatrist to cure his behavior and mood. At the time of his death, the child allegedly had more drugs in his body than the normal level for adults suffering from the same problems. Should this child have been on such a cocktail of drugs to begin with? Modern societies' reliance on over the counter and prescription drugs is a topic in need of objective examination. There is a real issue in this country caused by people's tendency to seek a quick fix for anything and everything, rather than pinpointing the cause of the problem and using natural remedies to remove or alleviate symptoms. Often times, the use of drugs is often the cause of more health problems than benefits. Furthermore, the general health care practitioners and specialists should be independent from the pharmaceutical companies instead of benefiting from prescribing particular drugs. Where are the ethics requirements? Why is the government ignoring the inherent conflicts of interest is this equation? With China now in the cross hairs of Big Pharma, this prescription drug problem may soon spread to the rest of the modern world. Besides the fact that a great many physicians and psychiatrists are in the pocket of Big Pharma, the direct to consumer advertising allowed in the United States (with New Zealand being the only other county permitting the practice) should be another concern. While the argument may be made that direct-to-consumer (DTC) advertising provides consumers with important information, the dissemination of misleading DTC advertisements has adversely affected the general health and welfare of our nation’s public. DTC advertising has drained the healthcare system of valuable dollars, increased unnecessary prescribing, raised the costs of medicines, and distanced the patient-doctor relationship. For U.S. pharmaceutical companies, spending on marketing far exceeds that spent on research. 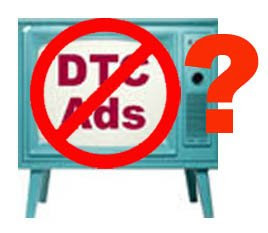 In addition, DTC ads are misleading to the general public and must be regulated and modified so as to justify the protection of such commercial speech. Balancing the public’s interest in the free flow of information with the public’s interest in protecting consumers from the ever-expanding capitalist pharmaceutical market may require further regulation by the often criticized FDA. As we the people are admittedly not medical diagnosticians, it is, inarguably, nothing short of irresponsible for the government to permit a multi-trillion dollar industry to market their purported curatives directly to us and allow doctors to be salespeople in this mission. The consumer does not possess the knowledge of medicine and chemistry necessary to evaluate the benefit versus risk of Big Pharma chemical concoctions that are named, packaged, and presented to appeal to our conscious and subconscious fears, hopes and desires. Along with a drug's intended effect inherently come side effects, occasionally few and mild, other times innumerable, seriously harmful, and even fatal. In the interest of shareholder profits the pharmaceutical industry apparently has little conscience when it comes to allocating relatively unlimited resources to the DTC marketing of unproven, unnecessary and even dangerous medications. 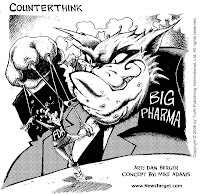 The general public, naiveté not a prerequisite, does not stand a chance of escaping the influences of Big Pharma's pervasive and relentless media campaigns. While it is indisputable that some antibiotics and other medications play a positive role in the treatment of illness and disease, a review of independent outcome studies and other medical research suggests that the pharmaceutical industry (and the government) cannot be trusted to preserve the public interest at heart. Natural and herbal remedies and alternative medicines receive minimal attention because of the inability to patent many remedial herbs. And you wonder why cannabis is still illegal (of course we had to go there!!)? It won't be made legal until Big Pharma can make their money off of it.